Mavis Wanczyk's windfall totals $336 million after taxes. Mercy Medical Center employee Mavis Wanczyk had something to tell her employer after winning the Powerball jackpot. "I called and told them I will not be coming back," the 53-year-old patient-care worker told the Associated Press. Wanczyk had worked at Mercy in Springfield, Mass., for 32 years. "The first thing I want to do is just sit back and relax," she said after winning the prize in late August. Her $758.7 million Powerball prize is the biggest undivided lottery jackpot in U.S. history. 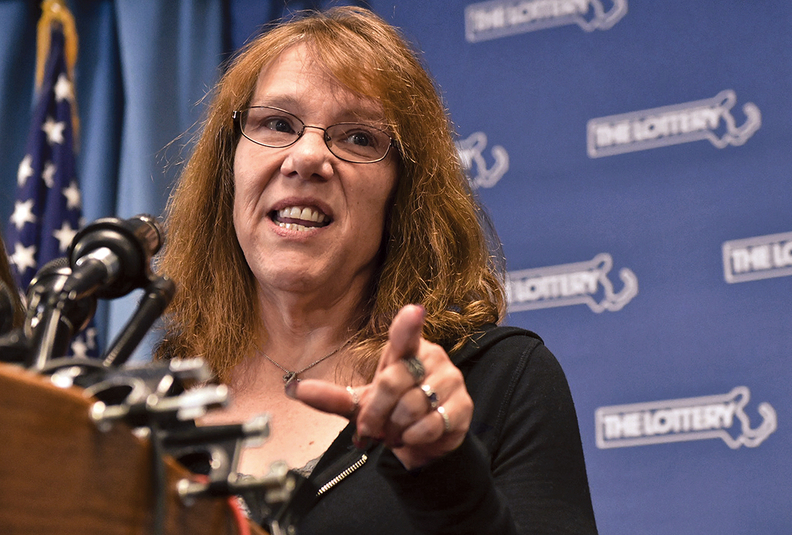 Wanczyk chose to take a lump-sum payment of $480 million, or $336 million after taxes, lottery officials said.​ Even after paying taxes on the winnings, Wanczyk's income this year is still likely to be way ahead of her former employer's. Mercy Medical reported $94 million in net income for 2014. The windfall also came with a little extra attention, as city police provided extra patrols around her home in Chicopee, Mass., as members of the media and the curious descended on the neighborhood. The evening before she won the jackpot, she recalled, she was leaving work with a friend and remarked, "It's never going to be me. It's just a pipe dream that I've always had." Then she read the numbers on her ticket and realized she had won. About a month ago, she shared a post on Facebook joking that she needed a vacation. "And by 'vacation,' " the post read, "I mean I need to move away and find a new job. On a beach. With rum." Wanczyk bought three tickets total. Two were computer-generated Powerball tickets. But the winning ticket, she said, was one with numbers she picked herself using combinations of birthdays. Her inspiration for the final digit—the Powerball, which was 4—came from her penchant for playing that number every Friday in a keno game with her mother, stepfather and a friend.